Karnak temple and the The temples of Amon at Karnak, together with its outlying buildings, is a natural museum of ancient Egyptian art, a blueprint of the power and glory of a golden era and a mine of historical information. Beneath its giant architraves and between bulky column and wall relief lie the records of its growth from a modest 12th Dynasty shrine to a local deity, to a temple of splendid and unimaginable proportions dedicated to the King of Gods, Amon-Ra. owes a colonnade to one Pharaoh, a pylon to another; an inspiration here, a whim there. But each has the sole purpose of pleasing the god that would ensure them a life long, powerful and glorious. Family rivalries and kingly jealousies were as often the incentive behind a construction as creative inspiration. One cannot help being amused for example at the oft-repeated tendency of the reigning Pharaoh to alter the royal cartouche of a predecessor and so take the credit for all the work he accomplished. some parts of the buildings were raised from dismantled shrines or the walls`of other temples. In addition,Karnak temple had twice to endure the degradation of Amon, at the hands of Akhenaten and of the early Christians. of the second pylon of Ramses II; that both Ramses I and Seti I used blocks from Akhenaten’s sun temple for their lflfge-scale additions to the temple; and that Haremhab crammed his mmh pylon with thousands of inscribed sandstone blocks from this Thutmose I, who ascended the throne at the beginning of the 1 8th Dynasty, actually made the first major alterations to the original shrine. Karnak temple He had two colonnades and two pylons built . Between the latter, Hatshepsut, his daughter and builder of the magnificent mortuary temple of Deir el Bahri , erected a pair of huge obelisks. She also made some alterations to the side of the sanctuary. These were continued by her co-regent and successor Thutmose III. Though Thutmose III showed less interest in perpetuating his memory in impressive monuments than in creating an Egyptian world empire, he did build a festival temple to the rear of the sanctuary, surrounding it with a girdle wall, on the inner side of which were a number of small chambers. It was Amenhotep III, builder of the temple of Luxor, who altered the front of Karnak temple. 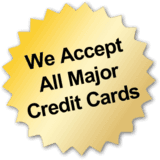 have been, it was to be eclipsed by the additions of the 19th Dynasty. Ramses I erected the second pylon during his one year in power. hall between the pylons of Ramses I and Amenhotep III. This work was continued by his successor Ramses II. that of Thutmose III and with it the Great Temple of Amon had almost received its final, magnificent form. It was now officially and justifiably styled ‘The Throne of the World’. kings of the Bubastides these were incorporated into a huge colonnaded court in front of the pylon of Ramses I. The last addition to the temple, its entrance pylon , was erected in the Kushite Dynasty. as strong as a lion, as docile as a ram, and protective of the Pharaoh Ramses II who placed them there. We must bear in mind that in approaching the temple from the front we actually reverse, apart .59 from a few exceptions, the order of building. Before us rises the massive first pylon (Plan 4 P.1) which dates from the Kushite Dynasty and which was never completed. It is 1 1 3 metres Wide, 43 metres high and 5 metres thick. leading to the Great Court is an inscription (a) recording the latitude and longitude of the chief temples of the Pharaohs as calculated by the group of scholars accompanying the army of Napoleon to Egypt. 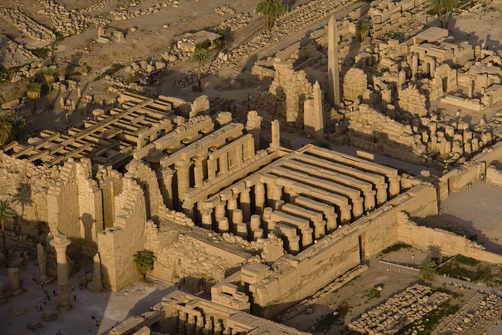 The Great Court, which was built during the 22nd Dynasty, covers the massive area of 8,919 square meters. On the right it incorporates a small temple built by Ramses III and on the left a small shrine built by Seti II, comprising three chambers dedicated to Amon (in the centre) and to Mut and Khonsu respectively on either side. Towards the center of the court is the base of what was once a pair of pedestals for statues and behind this is a double colonnade. The five columns to the left are being reconstructed and the single intact column to the right is inscribed by Psemmetikh II of the 26th Dynasty, who placed his name over that of the Kushite Taharka of the 2 5th Dynasty. It also records the name of Ptolemy IV. On each side of the court is a row of sphinxes. These flanked the doorway when the pylon at the rear of the court formed the entrance to the temple in the reign of Ramses II. They were removed and placed near the side walls when the entrance was extended towards the Nile. Against the inner wall of the first pylon, at (b), are remnants of the crude brick ramps by which the stones were heaved into position. The last two columns on this same side of the court provide another interesting clue as to how the ancient Egyptians conducted their work. Because they were never completed they show that the roughly-shaped stones, also heaved into position on ramps, were shaped after erection and that the polishing and decoration were performed from the top downwards as the brick ramps were removed layer by layer. The grey sandstone Shrine of Seti II to the left of the court was dedicated to the Karnak triad: Amon, Mut and Khonsu. The centre section, to Amon, is the best preserved. On the walls are two different representations of the deity. Near the end of the right-hand wall Amon is seated in human form with his characteristic headgear and with Mut and Khonsu seated behind him. On the left-hand wall he is depicted as a ram with the sun-disc on his head and travelling the heavens in his sacred barge. The Triad was a common feature of the gods of ancient Egypt. 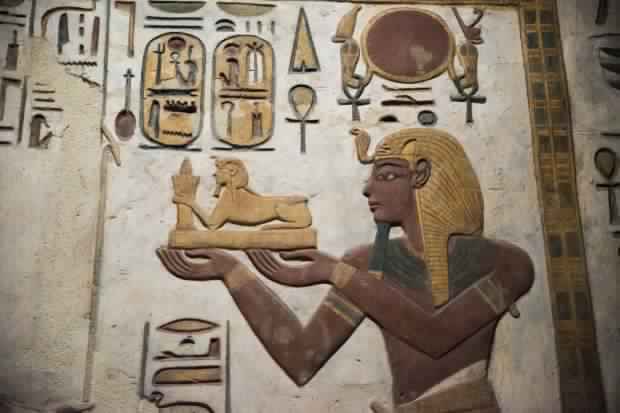 At Thebes, Amon had Mut and Khonsu. Abydos, Osiris had his sister-wife Isis and their son Horus. Memphis, Ptah had his wife Sekhmet and their son Nefertem. Across the court stands the large shrine of Ramses III. It was a sort of way-station for the barges of Amon, Mut and Khonsu when they were carried in procession by the priests. The pylon which forms the entrance has now been repaired and shows, on the left-hand tower (d), a relief of the Pharaoh wearingbthe double crown and holding a group of prisoners by the hair, whilst in his other hand he raises a club to smite them. Amon stands before him handing him the sword of victory and delivering to him three rows of vanquished cities each represented as a human figure rising out of a symbolic fort which bears the name of the city. wearing the crown of Lower Egypt. Large statues of the Pharaoh flank the doorway over which Ramses III receives the symbol of life from Amon. Passing through the entrance pylon welc0me to an open court surrounded by covered passages on three sides, each supported by eight square pillars with statues of Osiris in front of them. On the terrace at the rear are four similar pillars and four columns which have bud capitals. The reliefs on the back wall ofthe pylon ( f ) show Ramses receiving the hieroglyph for ‘jubilee’ from the enthroned Amon. On the east wall (g) is a procession of standard-bearers and the Pharaoh leading the priests who bear the sacred barges of Amon, Mut and Khonsu. The hypostyle hall ofthe shrine of Ramses III has eight columns with papyrus-bud capitals, adjoining which are three shrines re- spectively dedicated to Mut, Amon and Khonsu. This shrine is a cameo. It is like a small temple, adhering to tradi- Uonal temple layout. Its historical importance is its completion according to the unadulterated blueprint of amses III. Ramses III ruled at the tail end of a long line of imperial Pharoah and he was the last of the Ramessides to carve a place for himself in history. Though Wealthy-having reaped the fruits of his allklestors’ battles-he was far from great, a fact that he seems him- Selt to have recognised by placing his shrine across the axis of the main structure at Karnak as though to say ‘I do not Wish to come During his 32-year reign he fought three important battles, and his architectural activities included a temple at Medinet Habu (page 92) where he recorded his battles, and the initial construction of the temple of Khonsu , which was completed by his successors. poraries, who despised his weakened position under the priests of Amon. Triumphal Monument of Sheshonk I Retracing our steps to the Great Court via the exit to the east of Ramses III’s court, we find ourselves in the portico of the Bubastides (h) which is embellished with reliefs and inscriptions of the Pharaohs of the 22nd Dynasty. The rear door of this portico leads to the Triumphal Monument of Sheshonk I, which is situated on the outside of the southern tower of the second pylon (i ). This scene commemorates the victory of Shishak of the Bible over Rehoboam, son of Solomon the King of ]udah, when Solomon’s temple was robbed of its riches. Beneath Amon is the goddess Mut holding a club, bow and quiver, leading five rows of captives carved in perfect symmetry. We return to the great court of the temple and proceed towards the second pylon, the pylon of Ramses II The centre section was originally restored by the Ptolemies. It is now being reconstructed after the removal of the blocks from Akhenaten’s Sun Temples to Aten which were used as filling for the core. just before the pylon is a small vestibule flanked by two large statues. The one on the left, in red granite, is of Ramses H, later usurped by Pinedjem. This is the statue already mentioned as having been found under the second pylon. The Great Hypostyle Hall, fruit of Egypt’s power and wealth and one of the most massive of human creations, covers an area of 4,983 square metres. To support the roof 134 columns were arranged in sixteen rows. The double row of central columns leading from the doorway of the second pylon eastwards towards the sanctuary is higher than the others. The smooth-shafted central columns are twenty-one meters high and are topped with Calyx capitals large enough to hold one hundred standing men. The somewhat squat side columns have bud capitals and the discrepancy in height is made up by square pillars between the steps of the roof. The space between these pillars once held windows and served to light the entire hall, revealing that the walls, the shafts of the columns, the architrave and in fact every available space was covered with inscriptions and reliefs. It has been stated in almost every description of this hall to date, but must nevertheless be repeated here, that the whole of the cathedral of Notre Dame in Paris could be comfortably accommodated within its walls. The hypostyle hall was planned and begun by Ramses I and was continued by his son Seti I on a scale far surpassing Amenhotep 1II’5 unfinished hypostyle hall at Luxor. It was finally completed by Seti’s son Ramses II. 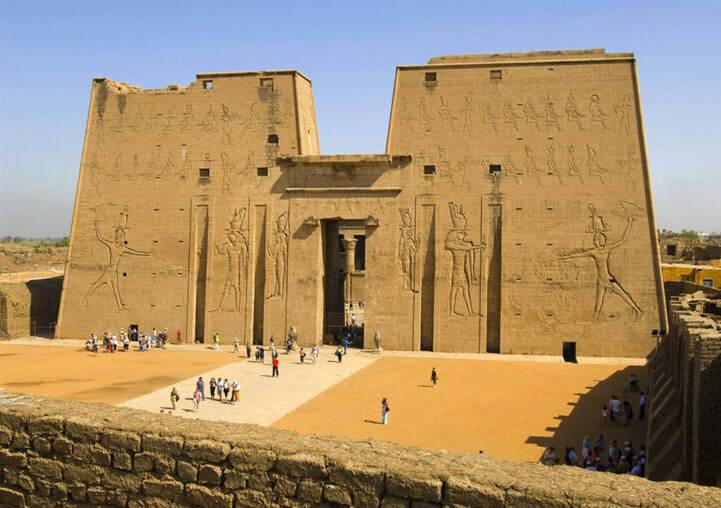 Although Seti I was responsible for the construction of the entire northern half of the hall and also the central aisle, and although Ramses II built only the southern portion, it is the latter who has secured credit for the greater part of the ork. W The overall effect is awe-inspiring. Although some critics have commented on the less-than-elegant columns at the sides or on the fact that ‘you can’t see the trees for forest’, its magnificence is indisputable. When Napoleon’s learned entourage first saw it, the hall looked as though devastated by a hurricane. Leaning columns seemed on the verge of collapse, many were already prostrate and the flag-stones were littered with debris. French Egyptologists working for the Department of Antiquities devoted their energies to reconstruction. The work of Georges Legrain, followed by Maurice Pillet and finally Henri Chevrier, who completed a 25-year mission as Director of Works at Karnak in 1956, left the Great Hypostyle Hall erect and proud. Spluinx-lmerl avenue to Only one single column (the first in the sixth row) bears the name of Ramses I, who started its construction in his brief two year reign. It may be noticed that the reliefs of Seti I (in the northern portion) are in flat relief and are somewhat more delicate than the deeper, more definite inscriptions of Ramses II (in the southern portion from the eleventh row). Most of the reliefs depict adoration of the Theban god. Ramses III, Ramses IV, Ramses VI and Ramses XII all recorded their names. On the outside of the hypostyle hall are some important historical reliefs. These are accessible from the exit at the side or from the central court. They are portrayals of Seti I’s and Ramses II’s military campaigns in Asia, the like of which had not been seen for two generations since the expansion of the empire under Thutmose III. There are over sixty metres of representations from the spectacular charges into the foe with arrows and chariots to the ultimate presentation of prisoners of war to Amon, Mut and Khonsu. Ramses II’s campaign was against the Hittites. It is depicted on the southern wall and contains the actual text of the treaty, the earliest surviving international non-aggression pact. According to the treaty each state, having equal, independent status, renounced all ideas of aggression against the other. It declared that peace should henceforth prevail between the two kings and all their dependents and reaffirmed earlier treaties existing between the two countries. A mutual defence alliance, co-operation in the humane treatment of disloyal subjects and also in the extradition of political refugees and immigrants, formed clauses of the pact. It bore the title: ‘The treaty which the great thief of Kheta, Khetasar, the valiant, theson of Merasar, the great chief of Kheta, the valiant, the grandson of Seplel, the great chief of Kheta, the valiant, rnaa’e, upon a silver tablet for Userrnare-Setepnere (Ramses II), the great ruler of Egypt, the valiant, the son of Seti I, the great ruler of Egypt, the valiant; the grandson of Ramses I, the great ruler of Egypt, the valiant; the gootl treaty of peace ana’ of brotherhood, setting peace between them forever.” Witnesses to the treaty were a thousand gods and goddesses of the land of the Hittites and a thousand gods and goddesses from the land Of Egypt. Khattishili III, Merasar is Murshili II, Seplal is Shuppiluilumas. his chariot in the wooded Lebanon. The Lebanese are obliged to cut down trees for the Pharaoh. In the lower row Seti is in battle with the bedouins of southern Palestine (to the right). He drives his chariot, drawn by two horses, whilst firing arrows at the enemy. Confused heaps of dead and wounded lie on the ground. The fortress of Canaan, above the battlefield, is used as a hideout and the inhabitants assist fugitives to escape into it. section of the main wall (le) is the battle in Syria. In the fortress which is surrounded by a moat the inhabitants are surprisingly carved full face as they peer from behind trees. Seti is also depicted binding captives, leading or dragging them. two rows of captured Syrians are presented to Amon, Mut and honsu along with valuable booty. In the lower row is a triumphal march through Palestine (left), a battle with the Bedouins of southern Palestine and (right) the victorious march from Syria. 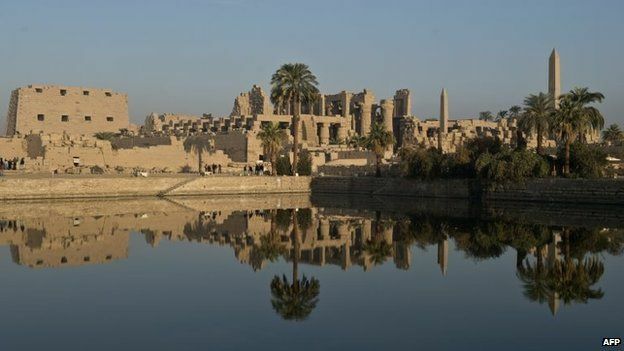 The border between Asia and Africa is marked by a crocodile-infested canal bordered by reeds and linked The Hypostyle Hall , Karnak Temple by a bridge. At each end of this bridge is a fortified guardhouse and, on the home front, Seti is welcomed by groups of priests carrying garlanded flowers. Captives and booty are presented to Amon. Karnak temple On the right-hand wall (I) is the battle of Kadesh (in the top row), the battle against the Libyans (in the middle row), and the battle against the Hittites in northern Syria (in the lower row). The defenders of Kadesh are pierced by arrows. The Libyans, distinguished by a single plaited braid and feathers, are smitten with the sword. The Hittites, shot at by the charioted Pharaoh, take flight on foot, on horseback and in chariot. the goddess of truth is present. On each side of the doorway separating these two walls (le and I) are colossal representations of Amon holding several rows of captured nations and cities by cords and presenting the sword of victory to Seti I.
Seti raises his club against a band of foes whom he dangles by the hair. Third Pylon, Pavilion of Sesostris I, Central Court At the rear of the hypostyle hall is the reconstructed third pylon built by Amenhotep HI. lt certainly needs more than a littlc imagination to reconstruct in the mind’s eye the gold and silver inlay, the flagstaffs and splendour of this one-time entrance to the temple. When Amenhotep Ill was constructing it he was simultaneously finalising plans for the colonnaded hall at the Luxor temple. Together they formed his most impressive architectural achievements. Some years ago when soil drainage was being checked to avoid the crumbling of columns from undermining, the pylon was found to contain in its core the ruins of temples and shrines of earlier periods. The task of extracting the inscribed or painted blocks deep in the pylon’s foundation, whilst propping up existing walls prior to reconstruction, was, and still is, an exacting one. And the matching of the extracted pieces with their partners in pattern and history has been extremely time-consuming. labours have received their supreme reward. The Pavilion of Sesostris I , a 12th Dynasty structure erected for the jubilee of the Pharaoh, is the earliest structure at Karnak today. Its blocks were rescued from obscurity and reassembled just north of the main temple to Amon within the girdle-wall, where it can be – ,, seen in an outdoor museum. The Walls ofthe pavilion are made of 49 fine limestone, and the reliefs, minutely and precisely carved in high relief, are amongst the finest to be found in Luxor. They show the restraint and austerity typical of the Middle Kingdom when the work was unencumbered by too much detail. The simple shrine consists of sixteen square pillars and the pedestal on which the Amon barge was placed to let the priestly bearers rest. It has been decided that the original site was on one side of the paved thorough- fare leading from Karnak temple to Luxor temple. mrliest structure at Karnak: izth Dynasty Pavilion of Sesoslris I. A shrine which can be traced to the reigns of Amenhotep I and Thutmose I was also found in the foundations of the third pylon and has been reconstructed immediately to the north of the Pavilion of Sesostris. It is made of alabaster. Since this was a medium used mainly for statues and offering-tables it is not often that we find a shrine or temple in alabaster. It is small, simple, of beautiful proportions and in nearly perfect condition. On the right-hand ofthe inner wall is a particularly lovely representation of the Pharaoh kneeling before a table of offerings. Also extracted from Amenhotep’s third pylon are finely inscribed granite blocks that must once have been a dramatic structure in red and black, built by Queen Hatshepsut. Her ligure, carved in low relief, has not been defaced. One cannot help wondering why temples and shrines were dis-mantled and used for new constructions. to Aten is easily explained because with his passing the worship of Amon was reinstated and reference to sun-worship was obliterated. But why should the exquisite temple of Sesostris have been hidden in a pylon? And the temple of Hatshepsut? Because she was a woman and not recognised as a Pharaoh of Egypt, despite her beard, male dress and attempts to prove her divine origin? Then why should the small and exquisite alabaster shrine have been destined for the same fate? The illustrious Amenhotep the Magnificent could hardly have been short of raw material. 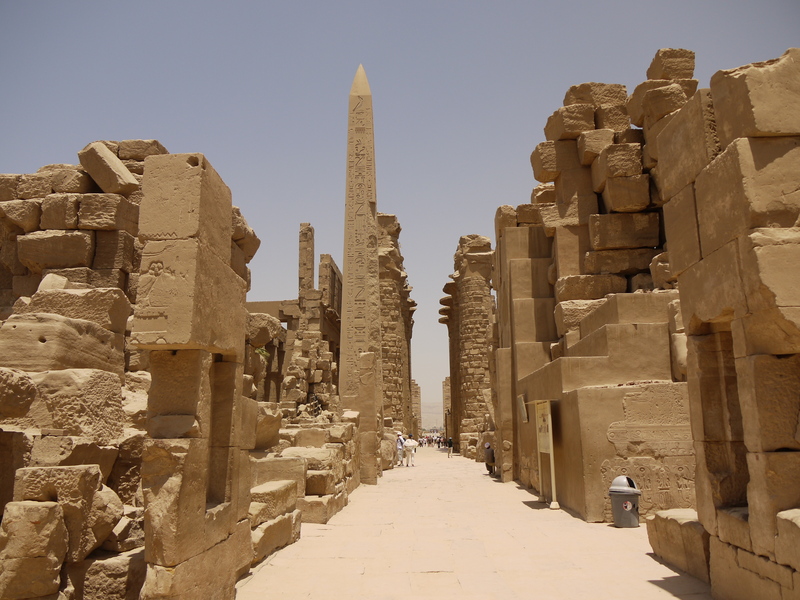 In the Central Court of the temple is the last survivor of four obelisks erected by Thutmose I and III, the former under the faithful guidance of his chief architect, Ineni, who brought them from the granite quarries of Aswan. There are three vertical inscriptions on each face of this obelisk: the central one dedicated *by Thutmose I himself, the other two additions by Ramses IV and VI. Fourth, Fifth and Sixth Pylons We now proceed to a much ruined part of the temple. The fourth pylon (P.4), built by Thutmose I, is followed by a colonnade with a strange and interesting history. Within this enclosed area are clues to family feuds, petty jealousies and religious differences, to say nothing of Pharonic vanity. stands an obelisk (Plan 6 m). This lofty spire was one of two erected by Queen Hatshepsut, who removed part of the roof of her father’s colonnade to place them there. Hatshepsut’s co-regent and successor, Thutmose III, at a later date in the family feud had a wall built to hide the obelisks of his predecessor, this being a simpler expedient than their removal and destruction. The wall covered most of the obelisk, masking it from people within the temple. The figure of Amon was obliterated by Akhenaten and restored by Seti I, thus putting an end to the vicissitudes suffered for two hundred years by the colonnade of Thutmose I. The beautiful towering obelisk of Hatshepsut was erected in the 16th year of her reign. It was made of a single block of pink Aswan granite of the finest quality. The apex was once covered with a mixture of gold and silver. This lofty spire records the fact that it was made in seven months. 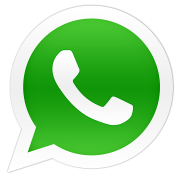 It weighs something like 317,515 kllogrammes (7oo,ooo lbs). One cannot but marvel at the tenacity required merely to quarry it, let alone to cart it to the Nile, transport it along its waters, disembark it and finally erect it with perfect accuracy on a pedestal. Forming the rear wall of the colonnade is the yiph pylon (P.5), also erected by Thutmose I. On each face of the pylon (n) are lists of tribes of the south which were subjugated by Thutmose IIl’s army, and also those of Syria, which alone HUmlJ€f II9- T116 Conquered territories are shown as an elliptical hieroglyph character surmounted by a human bust with arms bound behind the back. The granite gateway of the sixth pylon WHS 1‘€SI0f€d by SCU I find as we pass through it we enter what has become known as the H all pf Records of Thutmose III. These were the state records made by the priests of the temple to detail the sources of gifts and booty received by them. Of course, following Thutmose’s military victories, Karnak was now increasingly filled with gold and silver treasures from far afield, as well as with magnificent bronze weapons of war and furniture of ivory and ebony. of this Hall of Records are the two stately granite pillars (0), one bearing the lotus of Upper Egypt and the other the papyrus of Lower Egypt in high relief. These rather unusual twin symbols emphasise that the unity of the two lands, formed and broken many times in their long history, was intact in the 18th Dynasty. _ Beyond is the Boat Shrine comprising two chambers. lt is of pink granite and was constructed by the half-brother of Alexander the Great, Philip Arrhidaeus, on the site of an earlier chamber. The Walls are finely carved and coloured; the reliefs on the upper reaches of the Crovming ceremony of Philip Arrhidaeus (upper row)._ Priests bearing sacred barges of Amon (lower row):Sanctuary, Karnak Temple Wall still retain their colour. barges of Amon being carried in priestly procession (below). On the left-hand outer wall of the shrine are the Annals if Thutmose IIL depicting the cities and tribes subdued in his military campaigns. The sanctuary that housed the sacred statue was in the large open space to the east Where there are very scanty remains of Middle Kingdom structures. sanctuary containing the gilded statue of Amon Was placed. Karnak temple Great Festival Temple of Thutmose III: Before describing this ‘Most Glorious of Monuments’ as it was called, let us first recall that Thutmose III was the creator of a vast Egyptian empire. He went regularly to war each summer and returned to Egypt around the end of September. Among the splendid treasures he brought back with him were golden vases, arms and armour, precious metals and countless jewels. During the balmy winter months he would remain in Egypt where he would receive foreign envoys; sometimes these were members of the royal or noble classes, and sometimes representatives accompanied by caravans of costly gifts. Then, when the summer sun shone hot and dry, he would recruit his forces and march to battle once again. In a series of annals he gave full details of his seventeen campaigns and records of the spoils of battle. He was the first Egyptian Pharaoh to introduce military tactics, his most successful battle technique being the blitzlerieg: some 3,000 chariots, hidden behind a hill, simultaneously dashing into action with lances flying, hooves whipping up the dust, soldiers yelling. The resulting confusion in the enemy ranks was designed to weaken their morale. It inevitably did. Thutmose III was no war-monger. He never appointed Egyptian governors over the conquered territories. Instead he gave power to the local chieftains and, moreover, started cultural relations by bringing the sons of the chieftains to Egypt to study and absorb Egyptian culture, ideology and religion before returning to their homelands. Following the victories of Thutmose III Egypt was justifiably imbued with a feeling of national pride, while the victor himself humbly gave thanks to Amon to the rear of the national temple at Karnak. ‘ The central hall of the Festival Temple ty’ Thutmose III is 44 metres wide and 16 deep. The roof is supported by 20 columns in two rows and 32 square pillars on the sides. One immediately notices a lack of conformity; Thutmose ordered his workers to taper the columns downwards and not upwards and to top them with peguliar inverted calyx capitals. The capital gives a sort of tent-like effect and may have been designed to assuage the Pharaoh’s thirst for outdoor living. It was never repeated. The effect is definitely clumsy. The reliefs on the pillars, which are shorter than the columns, show Thutmose III in the presence of the gods. Grouped around the sanctuary, which comprises three chambers, were some fifty small halls and chambers. Most lie in ruin today. T0 the left of the sanctuary is a chamber with four clustered papyrus columns (r). The lower parts of the walls are decorated with exotic plants and animals brought to Egypt from Syria in the 2 5th year of the Pharaoh’s reign. It says a great deal for the character of Thutmose III that, despite his prowess as a warrior, his ability to topple the powerful Queen Hatshepsut from the throne and his vow to revenge his people for their conquest by the Hyksos, he should have found time and interest to import flowers and animals into his native land. To the right of the sanctuary is what is now known as the Alexander Room. It was originally built by Thutmose III and was restored by Alexander the Great. The reliefs show Alexander, and in some instances Thutmose III, sacrificing to the gods. To the south of the Alexander Room is a hall with eight sixteen- sided columns (I). The Karnak temple two small chambers with columns (u), followed by seven other chambers, carry reliefs of Thutmose III. Rear Section of Temple of Amon, Sacred Lake Plan 3 will show that the entire portion eastwards from the Fifth pylon, or in other words the rear section of the temple of Karnak, was surrounded by a girdle-wall. What remains of this is embellished with reliefs of Ramses Il sacrificing to the various deities. His colonnade at the far end just outside this girdle-wall_ is now a jumble of ruins and beyond this is a small temple also built by him, and an ancient gateway which dates from the time of the Ptolemies. To the south of this section of Karnak is the Sacred La/ee, the symbol of Nun the eternal ocean, where the priests of Amon purifiedthemselves in the holy water. Unfortunately too few of the `hewn rocks survived _the years to allow of genuine restoration. The gigantic stone beetle or scarab that overlooks the lake was one of four placed there by Amenhotep III in honour of the Sun-god. Southern Buildings, Karnak Cachette, Seventh to TenthPylons The buildings extending southwards from the central court of the main temple of Kamak are mostly in ruin today. A brief survey will be made, however, to show the importance of the plan of reconstruction over the next few years. A group of French architects are under contract with the Supreme Council of Antiquities for the complete reconstruction of the Karnak area, of which this is only one section, but perhaps the most important. Proceeding from the central court (lying between the third and fourth pylons) are the remains of a court where there is a good view of Ramses II’s famous treaty with the Hittites, This court was the site of a temple of the Middle Kingdom and it was here that Legrain extracted a fantastic number of works of art from what became known as the Karnak Cachette. Buried in a pit were thousands of pieces including statues in stone and bronze, sphinxes and sacred animals. The bronze items alone numbered I7,ooo. merit, the find shows that the temple could well have housed the 86,486 statues mentioned in the Great Harris Papyrus. The Karnak temple seventh pylon (P.7) was built by Thutmose III, and facing it to the south are the remains of two colossal statues of him in red granite. Between the walls uniting the seventh and eighth pylons, to the east, is a small shrine dating also from the reign of Thutmose III. was the work of Queen Hatshepsut and is the most ancient part of the structure. In fact there is very little proof of her having built this pylon, for her name was removed from the reliefs by Thutmose III Who, instead of inserting his own name inscribed that of Thutmose II, his predecessor, the husband of Hatshepsut and his own father. Following Akhenaten’s removal of all allusions to Amon, Seti I restored them, often inserting his own name in place of those of the older rulers. In the doorway at the rear left-hand of this court is an important historical relief on the left. It is the first instance in Egypt’s long history where the high priest, in this case Amenhotep, is depicted in the same size as the Pharaoh. Standing with arms uplifted, Amenhotep offers flowers to Ramses IX. This relief indicates the growth of priestly power. Faithful traditionalists of the established religion, the priests of Amon had hitherto been righteous, just and devout. The power of leadership had been firmly vested in the throne and they had recognized and accepted this. Over the years however their simple piety had turned to mild interest in earthly matters, then acute interest, and finally to intrigue and a craving for political power. The high priest depicted in this mural makes offerings to the Pharaoh while being draped in linen by two servants. A reciprocal gesture of appreciation? Or a royal bribe? Beyond the eighth pylon is a row of six royal personages. The bestpreserved are Amenhotep I (in limestone) and Thutmose Il (in red granite) both to the west. was built by Haremhab the one-time general. When repairs started it was found to be filled, like its companion the tenth pylon (P.1o), with blocks from Akhenaten’s Temple to the Sun. Together with the 4o,ooo-odd blolzks from this same period found beneath the hypostyle hall and the second pylon, these number some 6o,ooo blocks and are valuable clues to a period about which there are many gaps in our knowledge. When the first small, distinctively uniform sandstone blocks were discovered in the pylon of Ramses II, it was at first erroneously assumed that they had been brought up-river from a dismantled temple in Tel el Amarna Drainage operations subsequently led to the excavation of parts of no less than seventeen colossal statues of Akhenaten himself. introduction of a new religious concept. The first scientific study of antiquities by computer was started in 1900 by the University I\/luseuni of Pennsylvania, subsidised in part by thc then Egyptian Antiquities Urganisation and in part by tlic Sniitlisonian Institution. It entailed a systematic study of the distinctive sandstone blocks, called Talatat, found at different sites at Karnak this century, but particularly from the oth pylon of Haremhab. 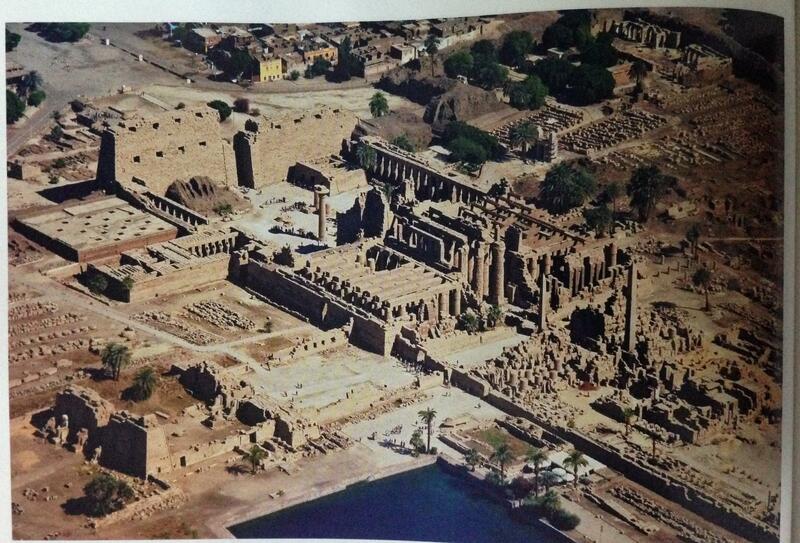 Karnak temple In the 1975/76 archaeological season the site of one of the temples was found. Donald Redford, director of the archaeological team for the University of Pennsylvania, excavating an area east of Karnak, located the foundations of a long wall, together with fragments of relief which successfully identify the site as the Temple of Gem-pa-Aten. Meanwhile, the Franco-Egyptian Centre at Karnak continue to extract Talamt from the core of the 9th pylon. The blocks were buried in the order in which the temple was dismantled; this enables immediate reconstruction and, in fact, an 18-metre wall has been reconstructed in the Luxor Museum . The eastern avenue of sphinxes extends from the tenth pylon to the temple of Mut to the south. To the West is the temple of Khonsu and the temple of Osiris adjoins it. The Temple of Khonsu, dedicated to the Moon-god Khonsu, son of Amon and Mut, is a classical example of a New Kingdom temple. Ramses III was responsible for building the original sanctuary and erecting the walls but it was only completed under his successors Ramses IV, who continued the near chambers and added a small hypostyle hall, Ramses XII, and Hrihor, the high priest who seized the throne at the close of the zoth Dynasty. Hrihor added a colonnaded court and the entrance pylon. In the 21st Dynasty the temple was continued under Pinedjem I. _The large pylon at the entrance (Plan 9 PJ) has representations of the high priest and his wife making sacrifices to various Theban deities. The high priest, Hrihor, stands in the position traditionally occupied by the Pharaohs of Egypt. The four vertical grooves with corresponding apertures in the masonry at the front of the pylon were used to fasten the flagstaffs. Passing through the central portal of the pylon, decorated with Thutmose III in a traditional scene showing the punishment of all enemy countries. reliefs of Alexander II, we enter the Court (A). This has four side-exits and is surrounded on three sides by colonnades of papyrus columns with bud capitals formed in double rows. Those at the rear of the court are on a raised terrace. There is a representation on the right-hand wall (a) showing the main pylon of the temple with eight, not four, flagstaffs. On the walls of the terrace Hrihor makes offerings to Amon, Mut and Khonsu (b). At (c) he receives gifts from Khonsu and there are also representations of the sacred barge. At (d) Hrihor offers flowers to an image of Min, the god of human fertility. Through the doorway at the back ofthe court is the hypostyle hall (B) which spans the full breadth of the temple. The Karnak temple four papyrus columns in the central aisle have calyx capitals whilst the smaller side ones have bud capitals. The Karnak templewall reliefs were added by Ramses XII and depict him sacrificing to the gods in the presence of Hrihor, who later dethroned him. The central doorway in the rear wall leads to the boat-shrine (C)which occupies the center of a larger room. The reliefs represent the Pharaohs Ramses IV, Ramses XII and various deities. Behind the boat shrine there is a small door of the Ptolemaic period which leads to the sanctuary of Khonsu (D) which has four tvventy-sided pillars. The reliets mostly depict Ramses IV but there are also some representations of the Emperor Augustus which can be found on each side of the entrance. In total there are seven small chambers, decorated by Ramses III and his successors, surrounding this hall. is of special historical significance since it bears witness to the transmission of Pharonic power, between the reigns of Ramses III and Ramses XII, from the royal line of Pharaohs to the priests of Amon. As already mentioned the high priests gradually acquired more political power after the close of the 18th Dynasty. With an ever-weakening line of Pharaohs after Ramses II they were at last able to usurp the throne. In this temple the name of the high priest appears in a royal cartouche for the Hrst time. hall which is flanked by two rooms, and a sanctuary. The sanctuary has representations of King Euergetes II before various deities. A flight of steps from the sanctuary leads to the lower chambers of the basement and the exit door, which once connected this temple with that of Khonsu. Now completely in ruins, the Temple of Mut was surrounded on three sides by a horseshoe-shaped lake. It was dedicated to the consort of Amon and comprised a pair of open courts, one following the other, and a sanctuary surrounded by ante-chambers. The con-struction extended through many generations from Amenhotep III to Ptolemaic times. by a team from the Brooklyn Museum in New York. (See Work in Progress No. 2).